Ravindra Jadeja's first Test century boosted India's mammoth score on Friday before they maintained complete control over West Indies with the ball to lead by a whopping 555 runs at stumps in Rajkot. India declared at 649-9 after a belated maiden hundred in this format for hometown hero Jadeja, five fours and as many sixes helping him to the milestone from just 132 balls. Virat Kohli (139) had earlier converted his first-day fifty into three figures as the home side built on teenager Prithvi Shaw's record-breaking knock and added just shy of another 300 runs before tea. 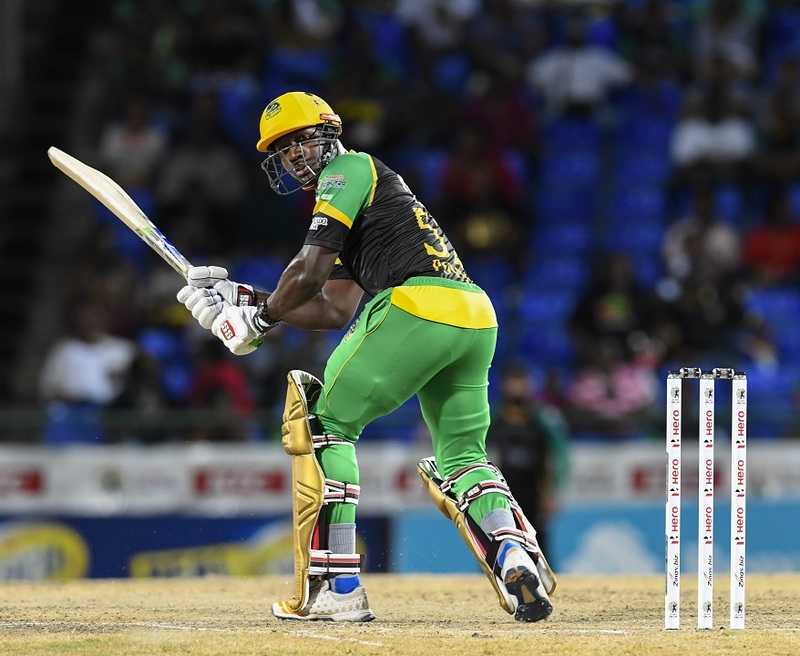 The Windies were set a huge task just to force India to bat again and swiftly lost captain Kraigg Brathwaite to set the tone for a miserable final session which ended with the tourists staggering to a measly 94-6 at the close. Kohli and Rishabh Pant (92) began the day at the crease and continued to plunder boundaries until their partnership was finally ended on 133 as the latter sliced Devendra Bishoo (4-217) to third man. 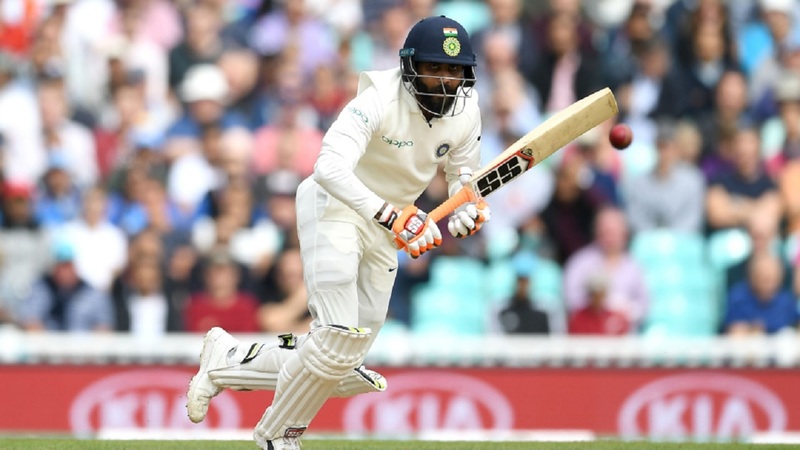 Although India's momentum was briefly checked, Jadeja's arrival in the middle ensured they were quickly back on track and pressed forward even when Kohli tamely lobbed to mid-on after bringing up a 24th Test hundred. Bishoo had some joy against the India tail, picking off Ravichandran Ashwin and Kuldeep Yadav, before Brathwaite removed Umesh Yadav (22), but Jadeja clung on to reach three figures. 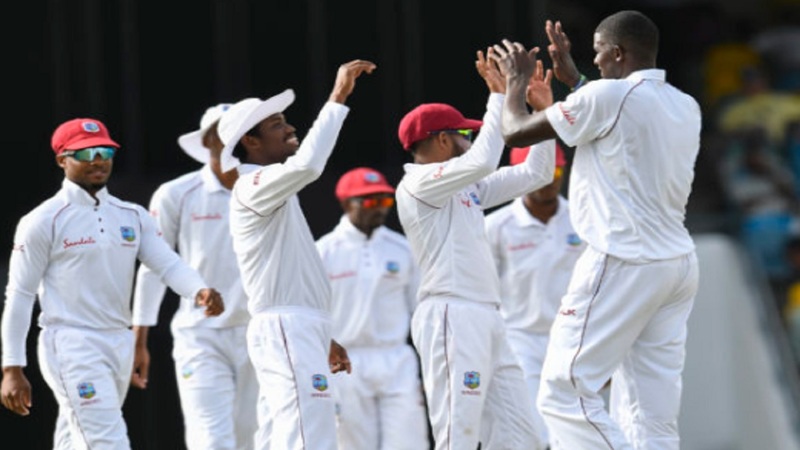 India's day got better still as the Windies immediately faltered with the bat and Mohammed Shami (2-11) saw off Brathwaite for two and Kieran Powell for one in a dismal start. Wickets tumbled at a steady rate, Jadeja continuing his fine day with a run out of Shimron Hetmyer (10) before accounting for Sunil Ambris (12). His spin colleagues Ashwin and Kuldeep also claimed a victim apiece before the close, Keemo Paul (13 not out) and Roston Chase (27 no) the men tasked with restoring some pride for the tourists on day three.